Though they are made for wood, they are usually made from various types of steel, which aids in strength and durability. 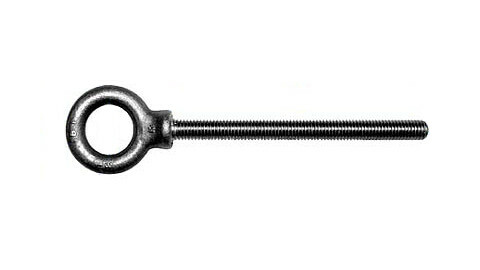 A carriage bolt consists of a large round, domed head with an externally threaded bolt projecting from it. The head usually does not have slots for a screwdriver or other driving force, and is typically at least twice the diameter of the bolt shaft. Beneath the head is a square fitting that grips the wood as the bolt is placed and fastened. 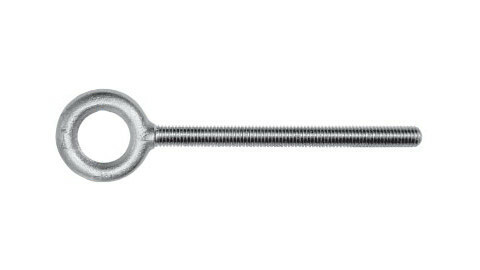 This fitting keeps the bolt from twisting or turning, and generally helps it maintain a snug fit. This is the basic carriage bolt design, but there is some variation. For example, one variation replaces the square fitting with ribbing that holds the bolt in place, for use with other metal components. Carriage bolts vary in length and diameter according to their intended uses, regardless of the type of materials that are being fastened by the bolts. Carriage bolts are often used in building and home improvement projects. They frequently secure pieces of timber together during the construction of outdoor decks, homes and pilings. They are also commonly used in machinery assembly, patio and ready-to-assemble furniture, chain link fences and even automobiles. Because the square fitting prevents the bolt from turning, carriage bolts are also a good choice for situations where the bolt head is not easily accessible. When selecting carriage bolts for an application, it is important to choose ones that are the right width and length. Consider that a bolt that is too narrow may lead to the fastener failing under strain, causing breakage, while a bolt that is too large may cause stress to the surrounding wood or metal, causing cracks. It is also important to consider length, as the carriage bolt must be long enough to go through the material it is fastening, but not so long that the protruding end becomes a nuisance. Carriage Bolts Carriage bolts are a type of threaded fastener that is specifically designed to be used with wood, though custom versions can be made to work with metal. Also called coach bolts or plow bolts, carriage bolts are quite common and can be found at most hardware stores in a number of lengths, diameters and thread pitches.